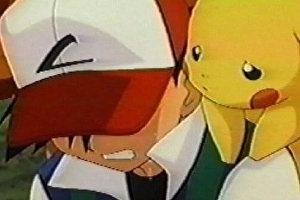 Pokémon Go players have reacted in anger after numerous fan-made tools to help discover Pokémon were forced to shut down. Pokévision, , went dark over the weekend. Other web-based and mobile apps have also fallen silent. The services ranged in purpose from showing where Pokémon would spawn to checks on the relative strength of your creatures. Fans are holding Pokémon Go developer Niantic responsible, as reports circulate that the services were felled by server-side changes introduced alongside the game’s recent patch. No Man’s Sky – perhaps the most anticipated game of 2016 – isn’t out until next week. 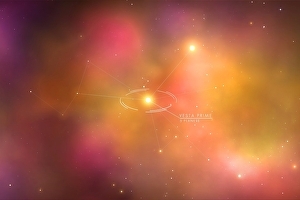 But one player with a copy of the game has claimed to have reached the centre of the galaxy already. According to the official website, No Man’s Sky is a game about “exploration and survival in an infinite procedurally generated galaxy”. But chief developer Sean Murray has indicated that reaching the centre of the galaxy is No Man’s Sky’s de facto objective. In Theory: Could NX bring Wii and GameCube games to Virtual Console? News of has taken the spotlight this week, with sources pointing to a mobile device that interfaces with a game dock for your HDTV. Inside, . 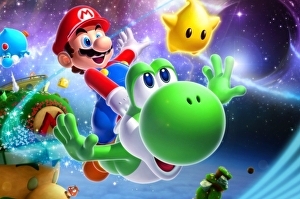 It’s a big departure from the IBM PowerPC architecture of its last three machines, raising questions over how NX’s compatibility with older games will be handled going forward. Until now, Nintendo has been diligent in bringing a strong legacy of titles to each new platform. It began in earnest with the Wii, via the Virtual Console for NES, SNES and N64 titles – but also with true, native hardware support for GameCube titles. This ability to tap into past glories boiled down to a common through-line in technology, one that stubbornly persists to this day with Wii U. From Gekko to Broadway to Espresso, the trend of iterating on the same PowerPC core gave Nintendo a link to the past, each time boosting the chipset’s clock speeds over the last, and by the end, adding multi-core support. The shift to Nvidia’s Tegra means that this form of native backward compatibility is no longer an option. It’s a clean break in technology and one that’s been 15 years in the running. The notion of a second internal processor for backward compatibility – as seen in PlayStation 2 and initial PS3 models – is also highly unlikely, bearing in mind the NX’s portable, power efficient nature. So the bad news is that running library titles using original silicon is off the table, but there is another option. Tests we’ve run this week suggest that the Nvidia chipset may well have the horsepower to bring many of these titles to life on NX using a next-gen iteration of its Virtual Console emulation technology. Pokémon Go has received its first major patch. Two features known to be not working or causing issues have been binned, another safety warning has been added, but the app now seems faster and more stable overall as a result. The app’s broken footprint feature, designed to narrow down nearby Pokémon by the number of paw prints displayed next to their names, has been removed. 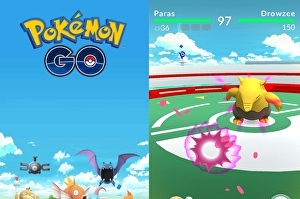 Developer Niantic has said it was aware the feature was not working, and in the meantime has apparently decided to excise it completely. Pokémon Go’s battery saver feature, which dimmed the screen when the phone was held at your side, is also gone. Users had reported it was the cause of crashes, which is likely why it has been culled from the app as of now. Again, hopefully its disappearance is only a temporary measure – pending a full fix. Greetings, Eurogamers, and thanks for joining us for this hand-picked selection of the videos from Outside Xbox, where this week we’ve been thinking about secret bonus levels. 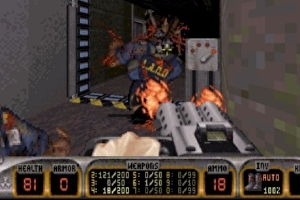 Remember the secret Cloud City level in Jedi Knight: Mysteries of the Sith, Aztec in GoldenEye, and the gigantic Area 51 hidden away in Duke Nukem 3D? Remind yourself of these and further impressive bonus levels for which you’d probably get charged real money if they were made these days. Also occupying us this week was Overcooked, a new co-operative cooking game out next week for Xbox One, PS4 and PC. Marvel Ultimate Alliance: the last great licensed video game? 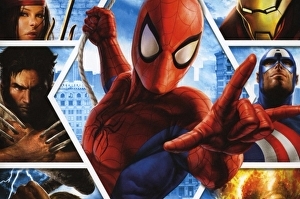 Editor’s note: To mark the occasion of Marvel Ultimate Alliance’s re-release, we tempted Dan Whitehead back from semi-retirement to explore what made the original so special. It’s worth noting that the PC port has some issues, and Digital Foundry will be along to assess them in due course. 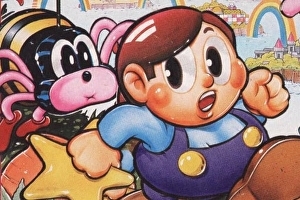 Licensed video games have a toxic reputation, and often with good reason. Few are any good. Most are downright terrible, their use of existing characters and stories somehow making rote gameplay and uninspired design seem even worse. But when a licensed game works, the result can be an absolute joy, allowing fans to experience and explore a beloved property from a fresh perspective, or simply live out a lifelong fantasy. Activision’s Marvel Ultimate Alliance, first available in 2006 for the PS2 and original Xbox and re-released this week on PC, PS4 and Xbox One, is such a game, and it’s one that I would argue represents the last gasp of the classic “video game tie-in” era. Welcome to the world of DF Retro. Every weekend, DF Retro brings us a new story based on a significant release in gaming history, backed by exemplary, clean capture taken using original hardware. It’s a great way to revisit the classics while reflecting on what made each game so special in its day. Check back often for brand new episodes as we update this article with the latest videos. This week, hot on the heels of the Nintendo NX news, we look back wistfully on Nintendo launches of the past. John dives into the most impressive and influential games available at launch for each of Nintendo’s major consoles. We start with a look at 1985’s Super Mario Brothers, the classic 2D platformer which changed the gaming landscape followed by its 16-bit follow-up Super Mario World. 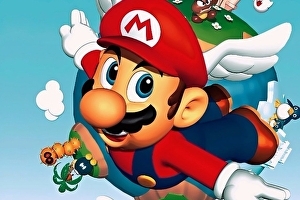 Then it’s off to the land of Project Reality with a look at Nintendo 64’s premiere launch title – Super Mario 64 and the not-quite-launch but similarly impressive Wave Race 64. As we move into the next century, Nintendo launches the GameCube with a number of games including Luigi’s Mansion and the beautiful Star Wars Rogue Squadron 2: Rogue Leader. But that’s not all, we finish up with a look at the Nintendo Wii and its ground breaking pack-in game Wii Sports. Ever since its 2011 launch, PlayStation Vita’s security has remained relatively intact. 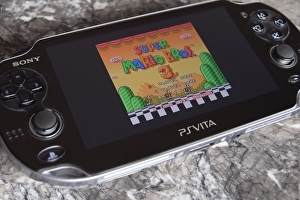 We’ve seen a bunch of PSP emulator exploits, and around a year ago, a native Vita exploit was released for an older firmware that required the unit tethered to a PC. Now, hacking collective Team Molecule has released a new exploit that fully unlocks the full power of the Vita hardware for homebrew developers. Dubbed HENkaku, the exploit is preposterously simple to install. Just ensure that you are running the latest firmware 3.60, then visit a specially prepared website to activate the exploit. The injected code removes the Vita’s file system from its sandbox and allows users to access it via FTP. From there, homebrew packages can be transferred across and run on the unit. The exploit also works on the PlayStation TV/Vita TV micro-console, and the open access to the file system means that the ability to has now returned, meaning that games which were bizarrely locked out – including Sony’s own, some of which worked great – can now once again run. Other applications include the ability for developers to create homebrew apps that overclock elements of the Vita at a level that’s inaccessible to game developers. Another week has passed and we continue to hurtle towards what we might call a ‘post-No Man’s Sky world’. 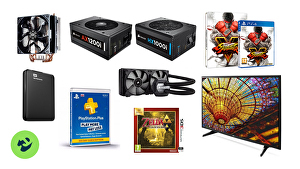 As it’s Saturday, we’re here to give you the low-down on what the best deals and offers on the internet have been for the past week. Hopefully, we’ll save you some money on something you like. Keep in mind, while we do our best to make sure the deals are active at the time of posting, internet deals are traditionally fickle. There’s a chance that by the time you get around to clicking any of these links, the deal could be gone or sold out. That being said, let’s move on and take a look at what this week has had to offer, starting with UK deals – if you’re reading in the US, head further down the page. The weather in the UK has been rather lovely recently, hasn’t it? All this sunshine might have been , but it didn’t stop us day-dreaming about packing up all our video games and jetting off on holiday somewhere. However, those dreams of lonely beaches and beautiful blue skies disappeared pretty quickly once we got our hands on We Happy Few earlier this week. Turns out, the town of Wellington Wells is a pretty horrible place; it’s full of violent people, dangerous drugs and a lot of vomiting, and while that sounds like your classic 18-30’s package holiday to Magaluf, it’s certainly not the kind of place we’d want to visit for a relaxing summer getaway. So, in recognition of Wellington Wells, a thoroughly awful place to go on holiday, here are six game worlds we’d really rather not visit, thank you very much.